FACEBOOK users are facing a terrifying new Facebook scam. Users could see their Facebook accounts copied in attempts to rip off family and friends. Unfortunately, scams are getting harder and harder to detect. There are tips you can use to protect yourself. I will cover those later. The latest scam involves criminals copying your personal information. The information is your name, pictures, and other Facebook information. And then they set up a new, identical Facebook account. The fake account looks exactly like your Facebook account. It even includes your postings and updates. But the trick is, this fake Facebook account is not on Facebook. Once the scammers complete the bogus Facebook account, they will send “friend” requests. They target family and friends because of your personal relationships. Family and friends believe you and trust what you are saying. The scammers count on family and friends not picking up the idea that this is a scam. Especially, when they pretend to be you and engage with your Facebook friends. At some point the criminals will ask for money. You will see the typical type of scam that asks for a fee to process a government grant request. Another type of scam is the request for charity. The criminals set up a charity to help with medical bills using a crowd funding technique. They will create a heart-rending story about a child needing life-saving surgery. The story is complete with sad pictures of a child. It is sad to say. But if you receive any request for money on Facebook, consider it a scam. Call or talk face-to-face to any family member or friend from whom you receive a request for money. Verify they are requesting money. To avoid scams, set your Facebook account settings to family and friends only. 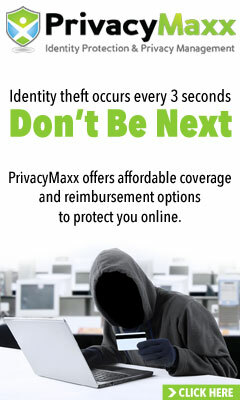 Protect your identity! The following images show the Facebook menu items that you should review. Make your password difficult. Do not allow public viewing of your Facebook page. I no longer donate or give money online in response to requests. Especially to requests on any social networking sites. I also no longer donate to requests from charities on the telephone. I prefer to donate to the charity vice any paid solicitors. Being aware is the first step to avoid terrifying new Facebook scams. Criminals are always looking for the next victim. So they have learned to go where the people are. By pretending to be family or friends, they are counting on their victims to lower their guard. So you can protect your identity. Be wary of any request for money. I appreciate any and all comments. Please fill in and submit the form below. Signup for NEWS about NEW scams! We will send you our newsletter with the latest news and tips on Mondays. We respect your email privacy. Your personal information is never sold, given away, or transferred to third parties. Informed Electorate Political Action Committee – Is It Legit or a Scam?